Bryce Harper is going to the Phillies. No, wait, he had a good meeting in San Diego… No- No, okay, we now have reports he’s coming back to the Nationals who are offering him more money and Manny Machado is going to the Phillies instead. Nope. Now the White Sox want both Harper and Machado, so they are in the mix too! Exhausting, isn’t it? That’s basically how this off-season is going, which seems like a lifetime, doesn’t it? Paul Goldschmidt, Nolan Arenado, Chris Sale, Madison Bumgarner, Didi Gregorius, Xander Bogaerts, Marcell Ozuna, Yasiel Puig, Gerrit Cole, Khris Davis, Nicholas Castellanos, Dellin Betances, and possibly JD Martinez and Stephen Strasburg if they opt-out. Here we are in February, again, and top names have yet to be signed. Will next year mirror this one? Possibly. Okay, more than likely, yes. But that’s only because there will be a player or players, who want top dollar. However, it’s this off-season that’s the most important, however boring it is. At the start of this off-season, Winter Meetings were looking to be some of the best we’ve ever witnessed. Players on the move and crazy signings were on the horizon. There were some bigger trades and signings and we were buckling in for a wild ride. Then everything just… sort of… slowed to a stop when it was evident Harper and Machado were waiting for better deals and more teams to join the mix. And that never really happened. Harper entered the off-season wanting a historic $400-$500 million contract and Machado’s polarizing postseason brought on some haters. If this is an actual reason for such little interest, I don’t know, but it’s clear the market is dull right now. I don’t think that really has to do with what we’re dealing with here though. It’s more along the lines of cost, inflated payrolls and going back to developing prospects than anything. 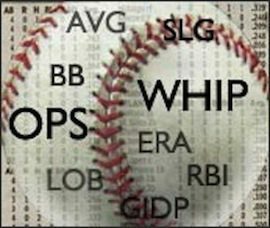 In the coming off-seasons, aside from the bigger names mentioned above, we’re looking at Mike Trout, Kris Bryant, Anthony Rizzo, Mookie Betts, Jacob deGrom, George Springer, Fransisco Lindor, Clayton Kershaw, Aaron Nola, Carlos Correa, Javier Baez and plenty other superstars who will hit the open market. So most teams are wanting to sit back like a buffet line and see what’s coming from the kitchen. There’s obvious commitment issues. To go all in on a player that could either make your team an instant contender or set your team back years if they don’t produce is always a tough gamble. While, yes, this off-season is quite boring, it’s also a turning point for the game. The future of Major League Baseball depends on Harper and Machado getting signed this year. Their new salaries will dictate the market moving forward. Well, for position players anyway. Whatever happens will set the stage for other players. On that note, the players’ thoughts on the sluggish movement of this off-season and passiveness of other teams not even in talks with two of the game’s elite players, came to the forefront when Kris Bryant and Evan Longoria made their disgust public. Their statements were heavily criticized and debated. Bryant’s comments were on how “ridiculous” it is that more teams weren’t in on Machado and his close friend Harper, while Longoria’s comments chastised the process and even took a shot at fans’ ignorance and understanding of how hard players work for this money they seem entitled to. And while there is some legitimacy to what they said, you can’t blame teams for sitting back and waiting to see how the market situates itself. Why gamble between two players right now when more stars are coming down the pike and the dollar value will be set? For most teams it makes sense to wait. The league should put better deadlines in place to give the off-season more clout, sure. More excitement. But right now it’s all business. That’s all it ever is and you can’t blame the process for that.